w/eric shaw Friday, March 28, 7 - 8:30 pm CANCELLED!!! 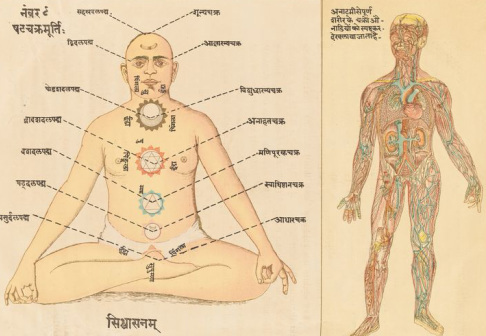 From the earliest times, yogis explored altered states to discover anatomies hidden from normal eyes. They saw auras, subtle breaths, and energy wheels, and called them koshas, pranas, and chakras. As yogis built regimens for health and realization, they learned to transform neediness into openness and love. Leveraging the inner anatomy, they burned through desire with the agnis: the flames of an open heart. Come discover how your inner world is structured, and how it is used for transformation on the yoga path, in this richly imagistic lecture. Eric Shaw E-RYT-500, MA Education, MA Asian Studies, MA Religious Studies. Please do not park in the city garage on La Salle Ave. It closes at 8:30pm and your vehicle will be locked in overnight if our event runs late.